The ride home is going well, albeit very slowly. A few hours in, we decide to take a break. Just off the highway, we stop at a mattress store to see if we can find a replacement for our small, oddly-shaped camper bed. Before heading in, I walk behind the truck to check on the hitch. When I find a collection of gnarled metal in its place, my eyes bug out and my heart-rate doubles. 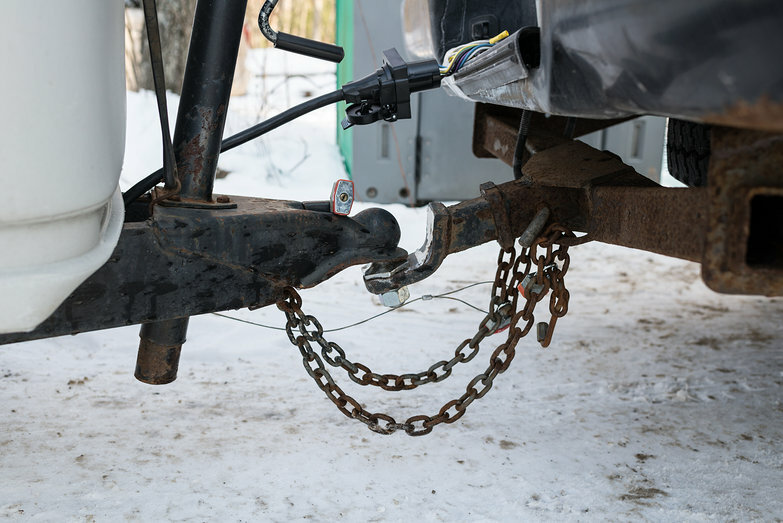 The hitch, in all of its rusted glory, has nearly twisted right off the back of the truck. Scenes of our trailer careening down the highway into oncoming traffic, exploding, crushing and killing innocent drivers race through my mind. Thank heavens we stopped to take a break when we did. We're both speechless, and I can tell Tara is utterly deflated. As far as equipment failures go, we're very lucky with this one. We didn't lose the camper, no one was injured, and the mattress store shares a parking lot with an auto parts outlet. After a few minutes of quiet dejection, we steel our minds to deal with the unfolding drama. 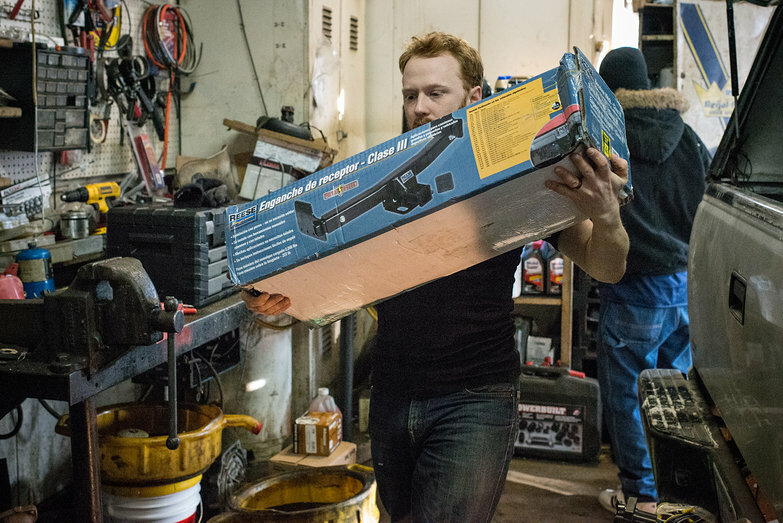 Trudging over to the auto parts store, we fork out $130, buying a universal hitch for my dad's truck. It's the only one in the store. With the help of the friendly staff, we manage to find an auto shop willing to install our hitch on a Sunday afternoon. Unfortunately, it's six miles away. We consider unhooking and leaving the camper, but in the end, we decide to chance it by driving there at a snail's pace. It's a cringe-inducing thirty minutes—we're expecting every dip in the road to spell disaster. 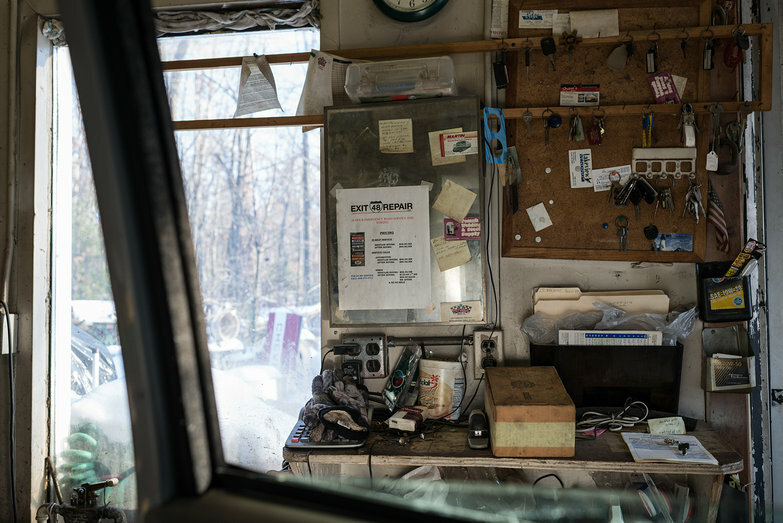 Relief washes over us as we successfully pull into the woods where the repair shop resides. We made it! 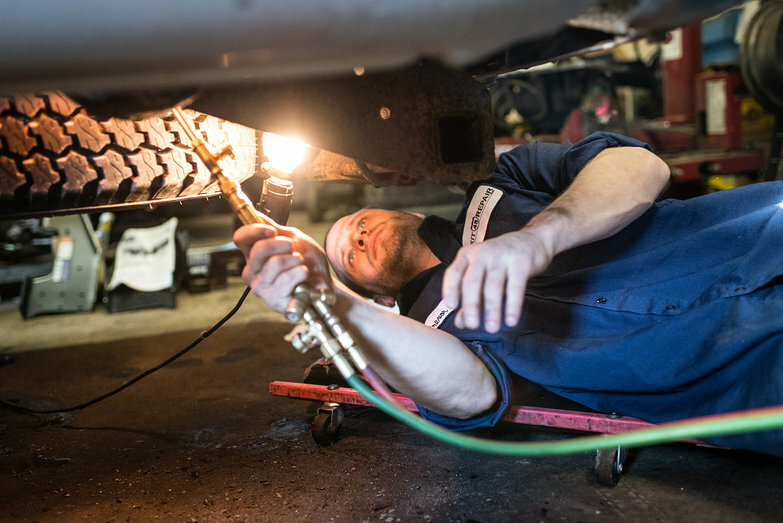 For the next two hours we wait while a young mechanic installs the new hitch receiver. 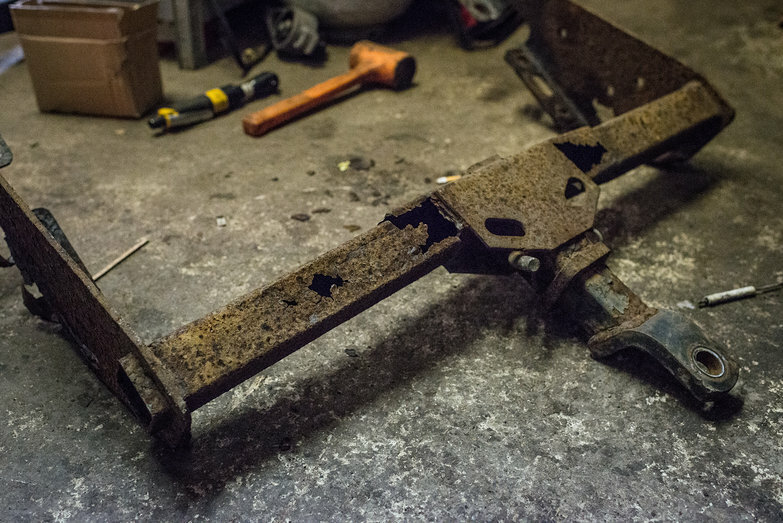 The old hitch takes quite a bit of effort to remove, as all of the bolts holding it to the frame have completely rusted in place. 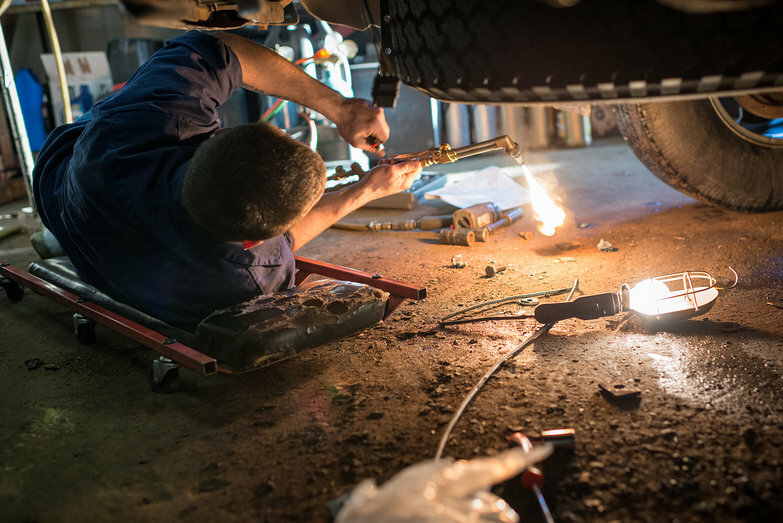 With the persuasion of a pneumatic drill and a blowtorch, the red-hot bolts consent to release, falling to the concrete floor of the garage. 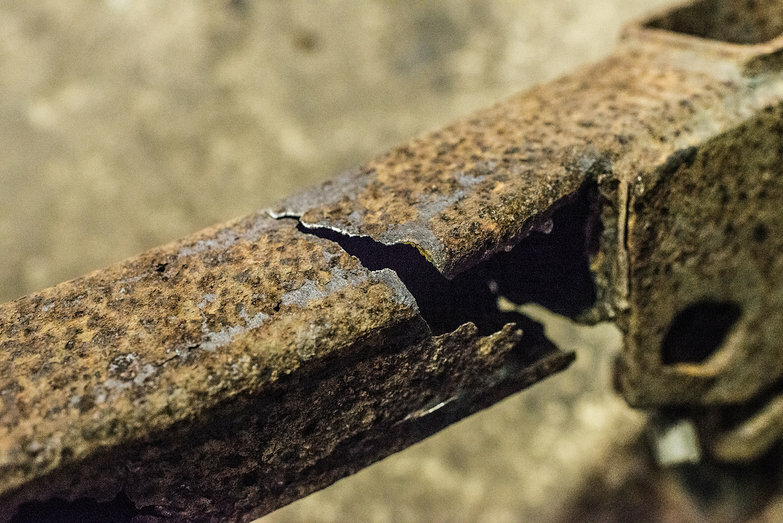 A cracked and rusted excuse for a hitch soon follows. The scrap of metal that held our trailer to our truck is harrowingly close to failure. As we snap pictures of the discarded hitch, I can't shake the feeling that we've just dodged a gigantic bullet. A few hours and two hundred more dollars later, we're back on the road. The final half of the ride goes just as a slowly as the first. We arrive home in Minnesota at 11:00 PM, approximately five hours before I'm due to catch a flight to pick up our truck in South Carolina. While I pack, Tara crawls into bed, utterly exhausted. An hour later, I join her. Unable to sleep, I stare at the ceiling as the minutes tick by, finally drifting off as I ruminate on the busy days to come. Wow, thank goodness you caught this in time (4 years ago, lol; I"m still trying to catch up to the present date; have been reading since the start). A similar thing happened to me and my family when I was a teenager. We were going fishing, towing the boat and motor on a trailer on our way to the lake, when we noticed someone passing us, driving erratically. It was our boat and motor! The trailer hitch had broken and the entire thing passed us before thankfully veering off the road into a field. Thank God nobody else was on the highway nearby, and nobody was hurt. The trailer wobbled up and down like crazy but thankfully didn't tip over, and everything was fine.